Lane Thomas reached base twice with a single and a walk and scored once. Will Latcham tossed a perfect inning of relief, but Conner Greene yielded three runs in Surprise’s Tuesday loss, their sixth in the last seven games. Results from the game played Tuesday, October 23rd. Surprise (5-7) was unable to dig its way out of an early hole, resulting in a 7-5 loss at Salt River (7-5). It is the Saguaros’ sixth loss in their last seven contests. Toronto’s Nate Pearson (L, 1-2) gave up single scores in each of his three innings on the bump. The right-hander yielded four hits and three walks and uncorked one wild pitch. 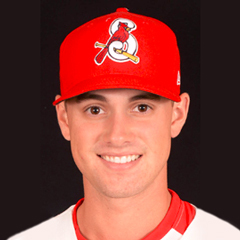 St. Louis’ Conner Greene outdid Pearson by permitting his three tallies in his only inning of work on a hit and four free passes. This was the third time in four AFL outings the tall Californian has been touched for multiple runs. Down 6-1 through five, Surprise’s offense pushed across a run in the visitors half of the seventh. But in the bottom of the frame, Armaldo Hernandez (KC) gave the tally back in his second inning of work. St. Louis’ Will Latcham retired the side in order, his first clean appearance in four relief efforts totaling 4 1/3 frames. Walker Sheller (KC) worked around one of Surprise’s four miscues for a scoreless eighth. The Saguaros garnered nine hits in all, generating single scores in the first and sixth through ninth innings. 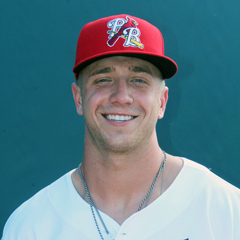 Lane Thomas, the Cardinals’ sole position player, followed up his first multi-hit effort on Monday by singling once in three at bats out of the seven hole. Acting as the team’s designated hitter, Thomas worked a base-on-balls in his first plate appearance then opened the ninth by rapping a sharp single to left. A two-out throwing error by the Rafters’ catcher sent the 23-year-old to third, putting him in position to score on a subsequent wild pitch.